It’s still too early for rhubarb in Southern New Brunswick but it won’t be long. The snow is barely gone but the gardens have responded to the late spring warmth with gusto and are racing to catch up. While I watch my garden (and rhubarb) grow I’m enjoying the last of my stash of frozen rhubarb. 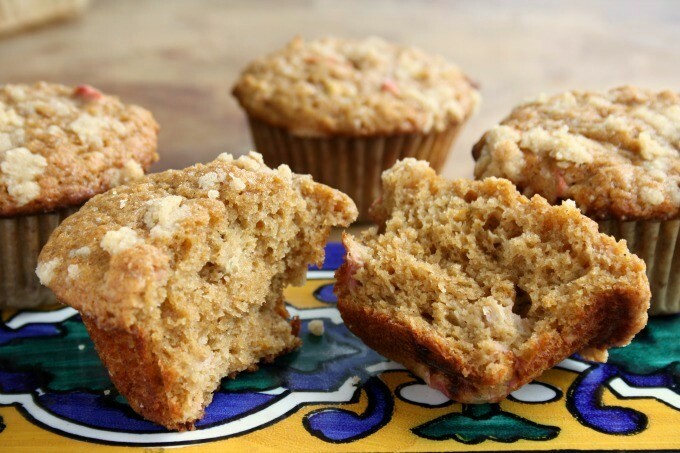 I have been making rhubarb compote to stir into yogurt, rhubarb juice to drink with sparkling water and am now onto this rhubarb muffin recipe. The more rhubarb I eat the more it feels like spring. 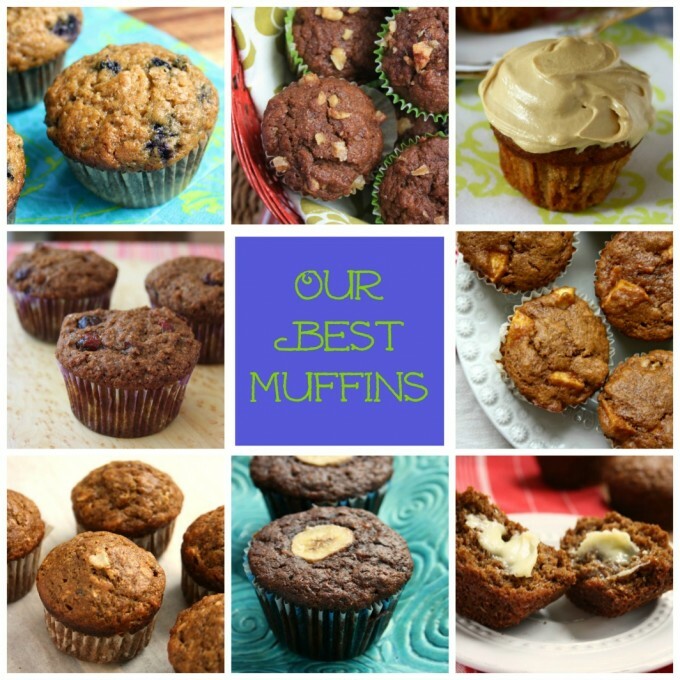 These are a light textured muffin and not too sweet. I dice the rhubarb quite small to avoid getting a soggy mouthful but suit yourself. Feel free to use oil instead of melted butter (although you will sacrifice a little flavour). 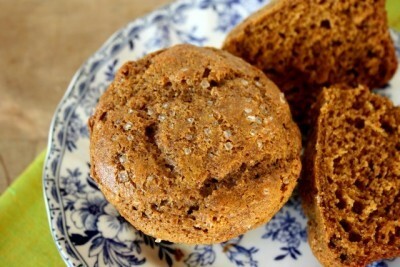 Ginger is a lovely replacement for cinnamon and lemon zest could stand in for the orange zest. Preheat oven to 375F. 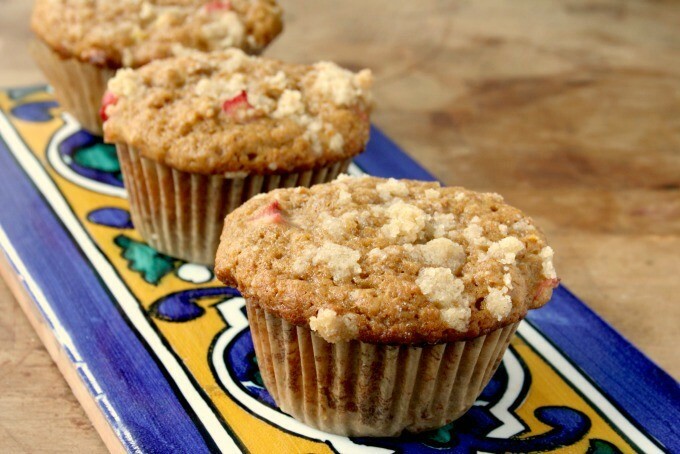 Line a 12-cup muffin tin with paper cups. In a large bowl, combine the flour, sugar, baking powder, cinnamon, baking soda and salt and whisk to blend. In a medium bowl, whisk together the sour cream, melted butter, molasses, eggs, vanilla and orange flower water until smooth. Gently stir the sour cream mixture into the dry ingredients until the batter just comes together; do not overmix. Gently stir in the diced rhubarb. The batter will be thick. Divide the batter among the muffin cups. The batter should mound a bit higher than the tops of the cups. Make the topping: In a small bowl, combine the flour, sugar and butter and rub together with your fingers. Sprinkle over each muffin. Bake the muffins until they’re golden brown and spring back when gently pressed about 18minutes. Transfer to a rack and let the muffins cool in the pan for 5 to 10 minutes. 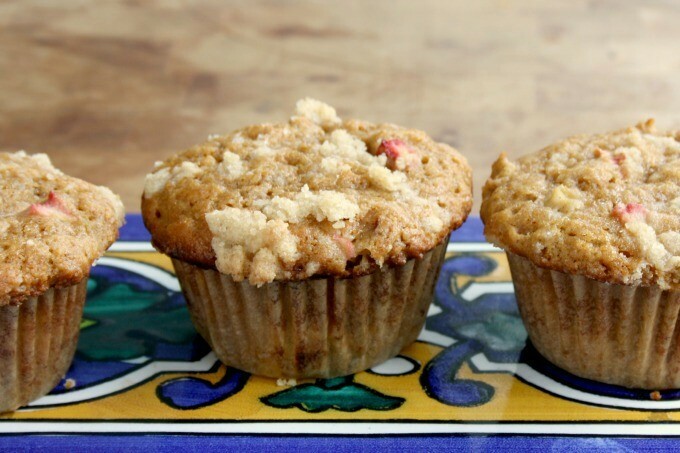 Carefully lift the muffins out of the pan and let them cool. Serve warm. I don’t see on your recipe where you add the Molasses. I assume with the wet ingredients. I am making it now so I hope that is it. Hi Maggie, Yes, molasses is added with the wet ingredients. Sorry. So glad you let me know — I have updated the recipe. Can I purchase “Molasses and More” Cookbook? Hi Linda, We’d be happy to send you a copy, free of charge. I’ll touch base via email to get your mailing address. Made these muffins on the weekend. Was lucky enough to get ONE!! They disappeared faster then I knew! Great recipe, Thank you!! Pleased that they were a success, Chris! 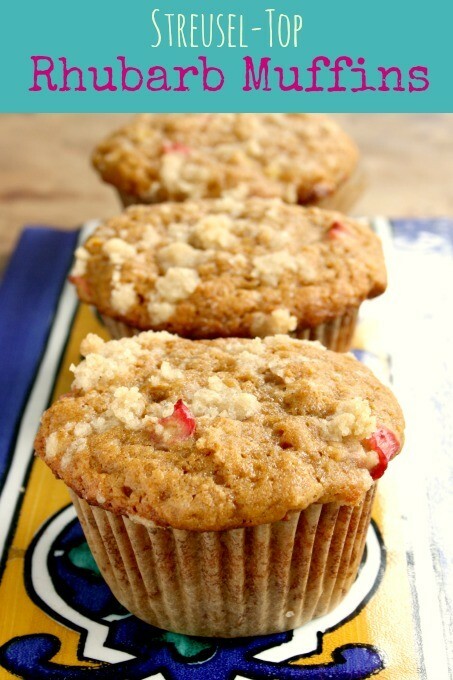 I love Rhubarb and grow it myself so I would surely like to try those muffins etc. Thank you for posting those delicious recipes. 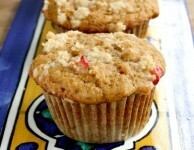 checked my Rhubarb,they are ready ,so I made a dozen muffins came out so nice and they are delicious,Thank you! Hi Hector, glad the recipe turned out well for you!